But I had my final exam last night, which means no class for a few weeks, and a short chance to breathe. Somewhat better, still kind of skewed. Also, floating in a wheel of fire? Not sure what this one’s “official” name is, but I call it the Quad. 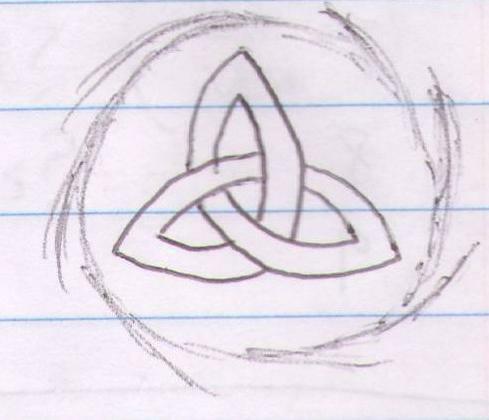 Sort of a variation on the Trinity. 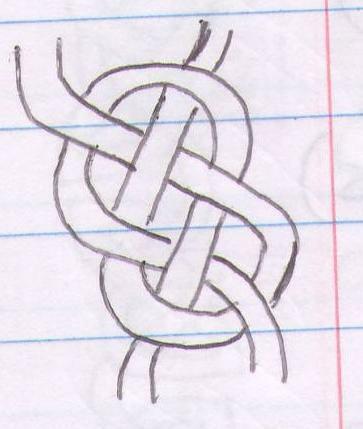 Don’t know the name for this one either, but it pops up a lot if you google Celtic knots. 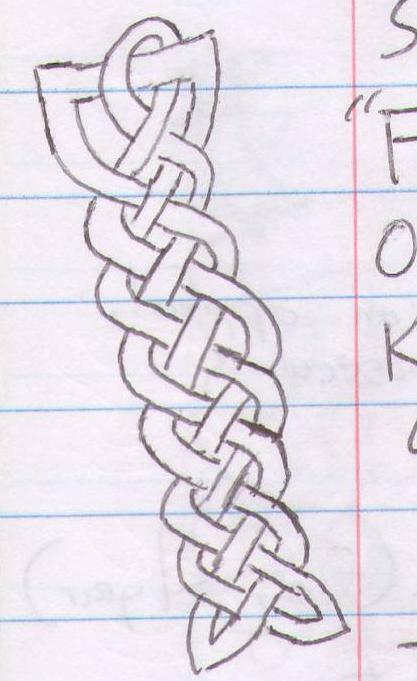 I did take actual notes in this class, I promise. 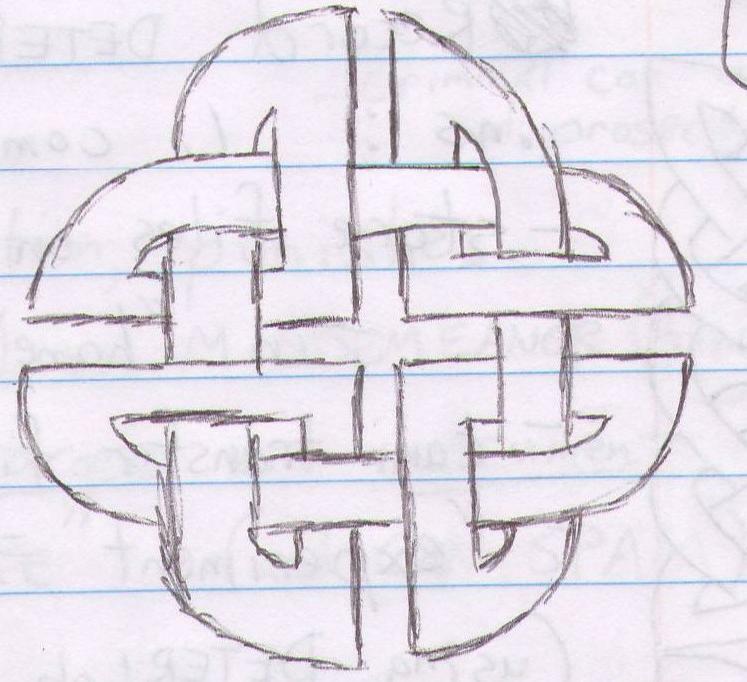 As you can see, they blatantly stole their logo from my computer science notebook. 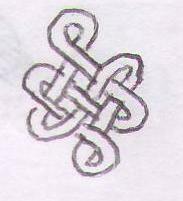 This one, the Eternity Knot, is actually a Buddhist symbol rather than a Celtic one. 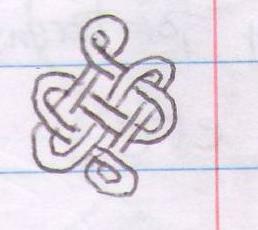 Do you doodle in your notebooks? What kind of things do you like to draw? glad to see you’re working hard! 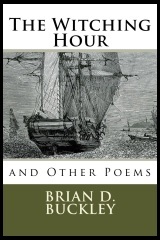 I’m knot sure I care for what you’re insinuating. 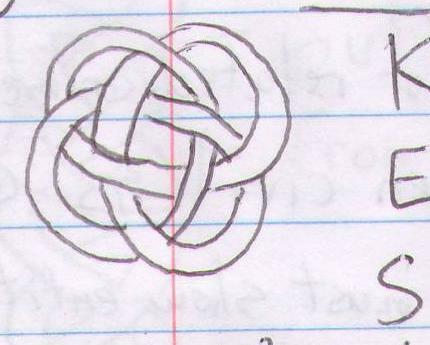 I’ve often doodled in my notebooks (during class) but my doodles were usually flowers, nothing precise like your Celtic knots…just whimsical or abstract flowers…or sometimes faces with exaggerated features, or just random abstract shapes. 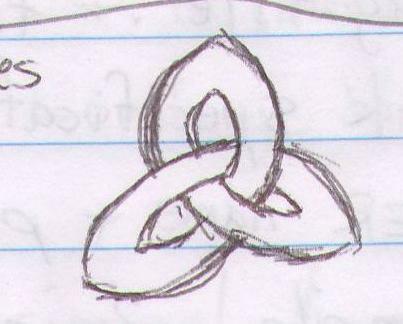 Today I find it very hard not to doodle in business meetings – I wonder what that means??? Are you artistic? Google says that “Doodling is an outlet for frustrated artistic expression”.